The Kinetis W series integrates class-leading sub-1 GHz and 2.4 GHz RF transceivers with Arm® Cortex® cores, providing robust feature sets for reliable, secure and low-power embedded wireless solutions. Design with multi-mode (Bluetooth Low Energy/GenericFSK/802.15.4) radio solutions. Design with multi-mode (Bluetooth Low Energy/802.15.4) radio solutions. IEEE 802.15.4 solutions for Kinetis MCUs. 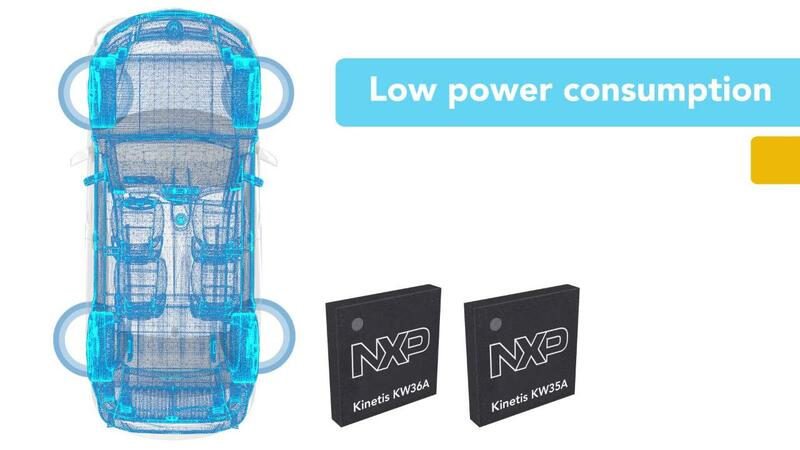 Kinetis KW36/35 wireless MCUs is the industry's first automotive‐qualified Bluetooth 5 family of MCUs with CAN‐FD.